Wi-Fi Certified homes will feature integrated wireless networks designed with the same level of detail as the home’s electrical and plumbing systems. Imagine buying a brand-new home and needing to install your own electrical and plumbing infrastructure. That’s what it’s like today when it comes to home networking. It’s a DIY affair in which you need to provide your own equipment and figure out the best place to set it up. 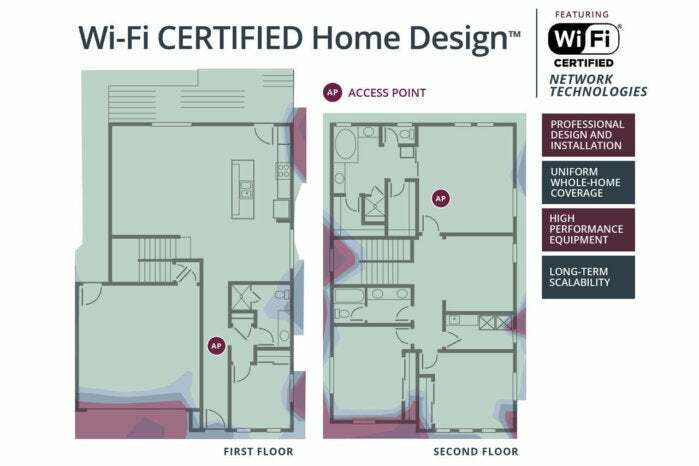 That could become a thing of the past thanks to the Wi-Fi Alliance’s new Wi-Fi Certified Home Design program. Homebuilders participating in the Wi-Fi Certified Home Design program will follow Wi-Fi deployment guidelines to determine the optimal locations for wireless access point (APs). The goal is to eliminate dead spots and provide coverage everywhere inside the home—including the garage—as well as in outside areas such as the patio. Professional design and installation while the home is being constructed should deliver optimal performance for the many wireless devices required to build a modern smart home. 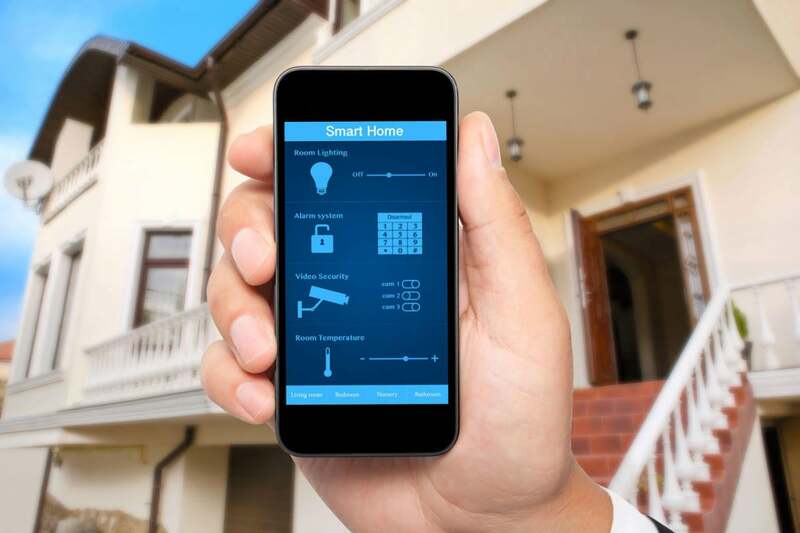 Even if other protocols—such as Z-Wave, ZigBee, Bluetooth, or Thread—are in use, Wi-Fi is the glue that holds everything together and provides a bridge for smart home devices to reach the internet. Under the Wi-Fi Certified Home Design program, new homebuilders will incorporate home-networking infrastructure into account at every stage of the design process. Homebuilder Lennar will be the first company to offer Wi-Fi Certified Homes for sale in July. The company intends to offer them across its entire national footprint by the end of 2017. 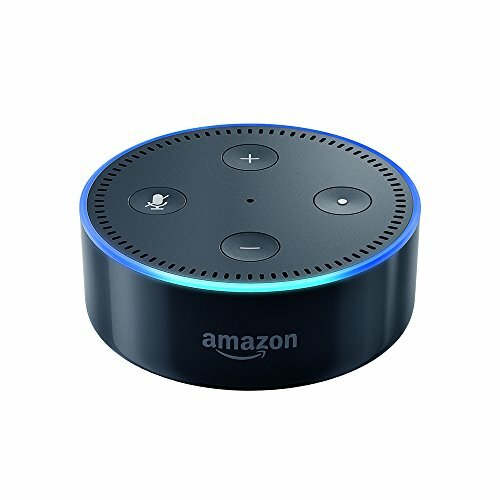 Lennar’s homes will feature Ruckus Unleashed APs, Samsung SmartThings connected-home hubs, and voice control via Amazon Echos. The company will also offer smart home products from Honeywell (smart thermostats), Ring (video doorbells), Kwikset and Baldwin (smart entry locks), Lutron (lighting control), and Sonos (wireless speakers). During its design process, Lennar says each new home’s floorplan is analyzed and mapped for Wi-Fi signal strength and quality. The process also takes building materials and other factors that impact connectivity into account. The impact on you at home: This certification program makes a whole lot of sense, even if it impacts relatively few homebuyers in its early days. The Wi-Fi Alliance has a long history of certifying wireless networking products for interoperability, and it’s very good at it. Home networking will remain a DIY affair for the vast majority of us for many years to come, but as important as it is to daily life, there’s no reason that the infrastructure shouldn’t be as ubiquitous—and as standardized—as a home’s electrical and plumbing systems.